The new X-Priv 225W TC and TFV12 Prince Full Kit is a new line up from SMOK that features a HD screen with detailed vaping data and features the TFV12 Prince Sub-Ohm Tank. The X-Priv has been designed to integrate all of SMOK's newest and most cutting edge features, design, and output technology into a compact and visually striking chassis. The chassis of the X-Priv features a familiar design that we are all comfortable with but an upgraded 2 inch screen that details essential data for users. Powered by SMOK's newest chipset, the X-Priv is capable of 1 to 225W of output, a trio of output setting adjustments, and comprehensive temperature control suite that packs in adjustable TCR as well as Preheat capability. This suite of features makes the X-Priv a capable and versatile platform. User control for adjustment is implemented through a three button interface, a richer and more intuitive menu design is implemented for a more efficient use and easier adjustment control with a full array of essential data. Included with each kit is the new SMOK TFV12 Prince Sub-Ohm Tank which combines the best elements of two of the most popular and critically acclaimed tanks today, packing in the manageable size and affordable performance coil family with the capacity and range of the full sized TFV12. Own the night with SMOK's incredible line-up, the X-Priv 225W TC and TFV12 Prince combine to create the showcase set-up of the year. Purchase TFV12 Prince Replacement Coils Here! Disclaimer: Use At Your Own Risk! Advanced products are for experienced users with extensive knowledge of how electronic devices work along with access to the appropriate safety tools. Please ensure proper precautions are taken when using these devices. There is an inherent risk with the use of any and all rechargeable batteries in any circumstance. Use special caution when working with Li-ion (Lithium-ion), LiPo (Lithium-ion Polymer) and any rechargeable cells, as they are very sensitive to charging characteristics and may explode or burn if mishandled. Never leave charging batteries unattended. 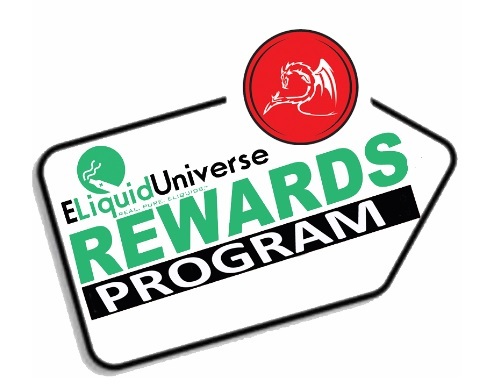 ELiquid Universe Inc will not be held responsible or liable for any injury, damage, or defect, permanent or temporary that may be caused by the improper use of a Li-ion (Lithium-ion), LiPo (Lithium-ion Polymer) and any rechargeable battery/batteries.